Annual percentage rate (APR) is a true measure of the interest fees charged by credit card companies & banks. Annual percentage rate (APR) is the effective cost of credit which is the ratio of finance charges to the average amount of credit used in the life of the loan; this is expressed as a percentage per year. In this tutorial, we look at the calculation of APR for single payment loans & multiple instalment loans. A single payment loan is repaid in full on the maturity date and there are two ways of calculating APR on single loan payments: I) simple interest method and ii) the discount method. 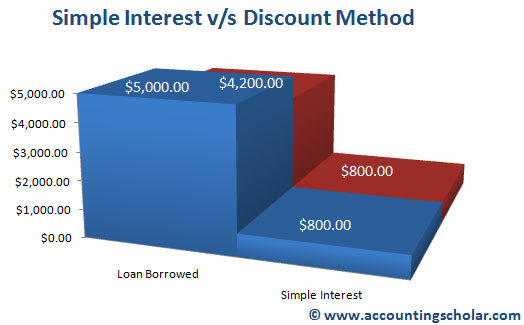 The difference between the simple interest method & the discount method is what the borrower actually receives in the form of a loan. Based on this simple interest, what will the APR be? From this calculation, we are deducting the total finance charge of $800 from the loan amount borrowed of $5,000 to arrive at the real loan amount borrowed, $4,200. We see that the annual percentage rate is actually 9.52% and not the finance charge of 8% as we derived using the simple interest method. Thus, lenders are required to quote 9.52% interest on the loan, and not 8%. This graph shows the effects of the APR of 8% on the $5,000 borrowed principal balance; total simple interest comes out to $800 over a period of 2 years.